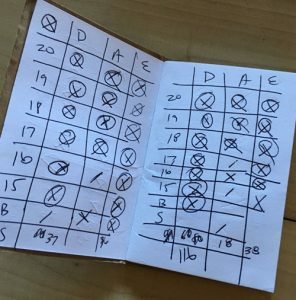 Even though I have probably a half dozen apps on my phone that are designed to let me record quick thoughts or jot down a list or number, I always fund myself coming back to my trusty pocket notebook. Pen on paper, or even better, a pencil on paper. No waiting for a frozen phone, or a stupid app to update before I can use it, I always know I can count on a notebook to get it done. I personally have an entire shelf of Field Notes, Moleskines, even some detective-style/Blues Clues flip notebooks. 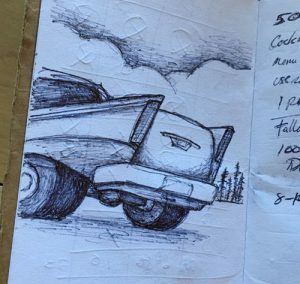 Sure, an app can hold a task list, but can it also hold a doodle while you wait for your car? Or the scores from a pickup dart game? 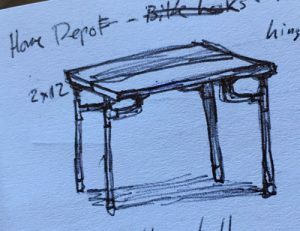 Or capture a quick idea sketch for a table? My personal pocket notebook is just the right amount of beat up. 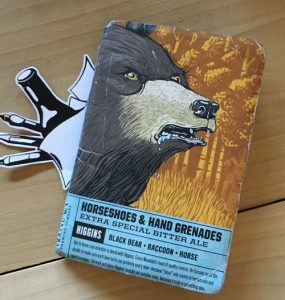 The first pocket notebook I made was out of a Crazy Mountain Brewing Horseshoes & Hand Grenades Bitter Ale box, and I carry it every day. Not only is the design of their packaging hilarious, but it’s always fun to answer the “Uh…what’s on your notebook?” question. 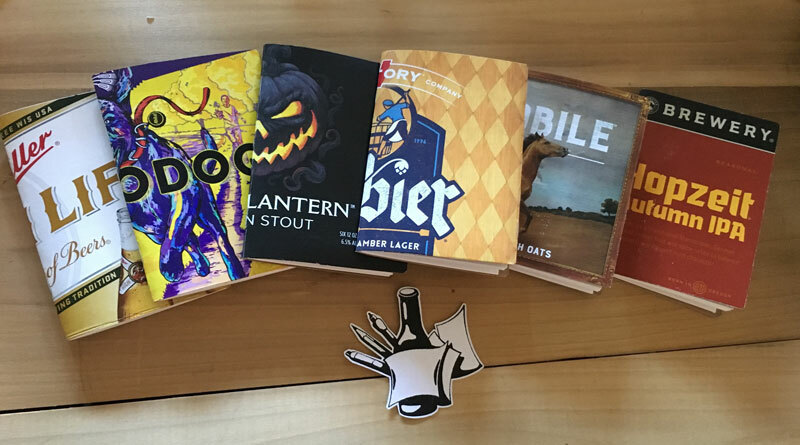 Beer boxes are designed to withstand a decent amount of abuse from transport and still protect the precious cargo, so in my opinion, they’re perfect for a pocket notebook. The small size fits in your pants pocket or purse perfectly, usually smaller than your phone. See the collection of readily available pocket notebooks on my Etsy store, or request a custom two-pack! See you at the Phoenix Flea!